Electroporation is the artificial means of DNA transfer into the cells using an electrical field. It is defined as the use of electrical field to reversibly form micropores in the cell membrane. It is relatively new, simple and rapid technique to introduce DNA in a wide variety of cells. This technique is based on the original observation of Zimmermann in 1983 that high current pulses can induce cell membranes to fuse. Nanoball Sequencing is the advanced form of DNA sequencing used to determine the entire gene sequence of an organism. The DNA Nanoball sequencing technique uses the Rolling Circle model of bacterial replication to convert the DNA of genes into Nanoballs. 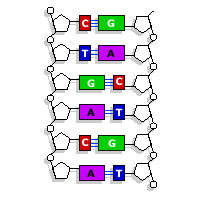 Fluorescent probes are used to bind with the complementary sequences, then these markers are used to locate the sequence in the DNA template. DNA Nanoball technique allows sequencing large number of DNA segments very fast at low cost. DNA Nanoball sequencing is a very good technique for identifying Mutations in genes and Mendelian disorders. Helicobacter is a pathogenic gram negative bacterium that inhabits the inner lining of human stomach and causes inflammation and ulcers. Majority of persons infected with H.pylori remains asymptomatic till the symptoms appear. Originally this bacterium was named as Campylobacter pyloridis and later placed in the genus Helicobacter. Its species name is given as pylori since it inhabits the Pylorus which is the opening of stomach into the duodenum. Peptide Computing refers to the form of model computing using Peptides and Molecular biology instead of the common silicon based chip technology. Peptide Computing rely on the fact that Antibodies show affinity towards Peptides and Proteins. Like DNA computing, Peptide computing uses the interaction between the peptide chains and antibodies.